Hello weiners! Hows things? Today's post brings to you a summery outfit, from a distant and short-lived past where Scotland had sun. It was a nice time but, sadly, is long gone. You may recognise this little top from this post a few weeks ago; I've taken it off to wash it but apart from that... not much. 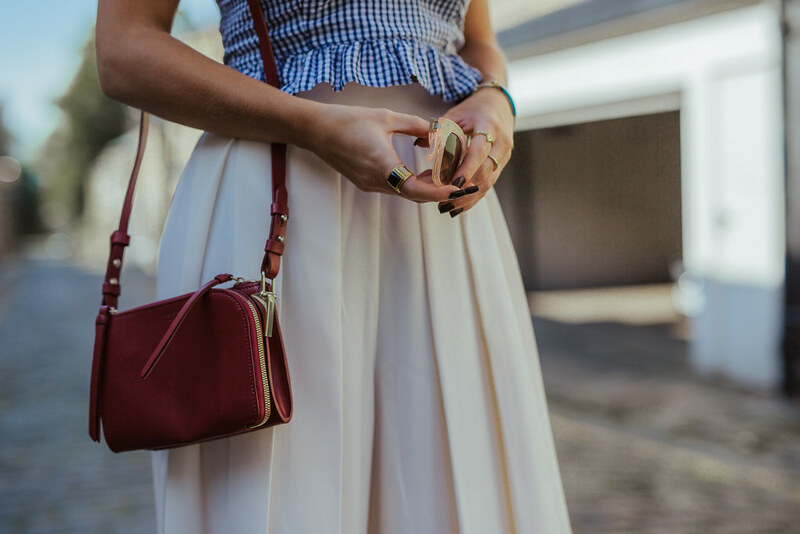 It's just so easy to wear and so flattering and lovely and gingham-y. I paired it this time with some big, billowing culottes that, with a strong gust of wind, could probably lift you up into the air. I normally prefer my trousers to be a little more structured, but I think the pleated detailing on these stops them from falling into tent territory. Plus they make me feel like I'm going to a posh garden party to drink Pimm's and talk Wimbledon (I've never been to a posh garden party but I'm assuming that's what they do). 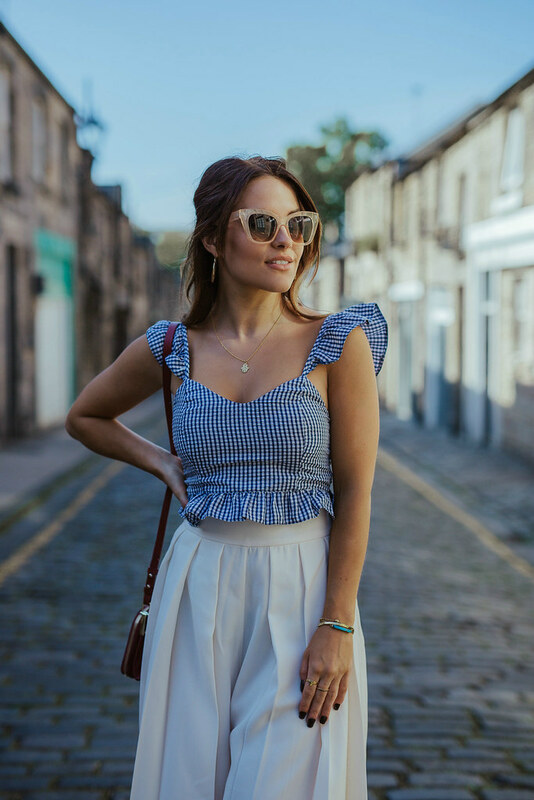 Ooh also - I've set up a wee section on my blog where you can shop everything I've been wearing both on here and on Instagram as well as everything I like that's online at the moment - you can find it here. Let me know what you think, if it's helpful, if you love it, if you hate it... Please don't hate it. Such a cute summer outfit, you look fantastic! Great look! The top is so gorgeous!! Top is so pretty - love the all outfit Amy !! This outfit is so so dreamy! Those trousers are amazing! Love those trousers! I have this top too, it's so cute and literally goes with everything! Ruffles are the must this year, your outfit is so cool! That outfit is really cute, I love the top, it has a summery kind of vibe.